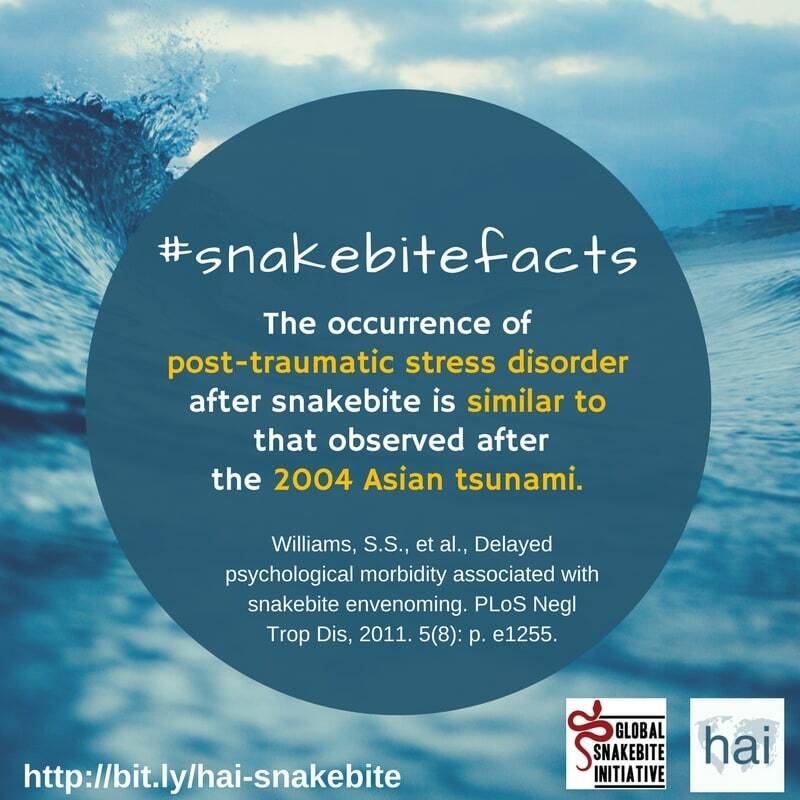 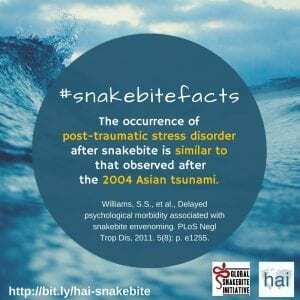 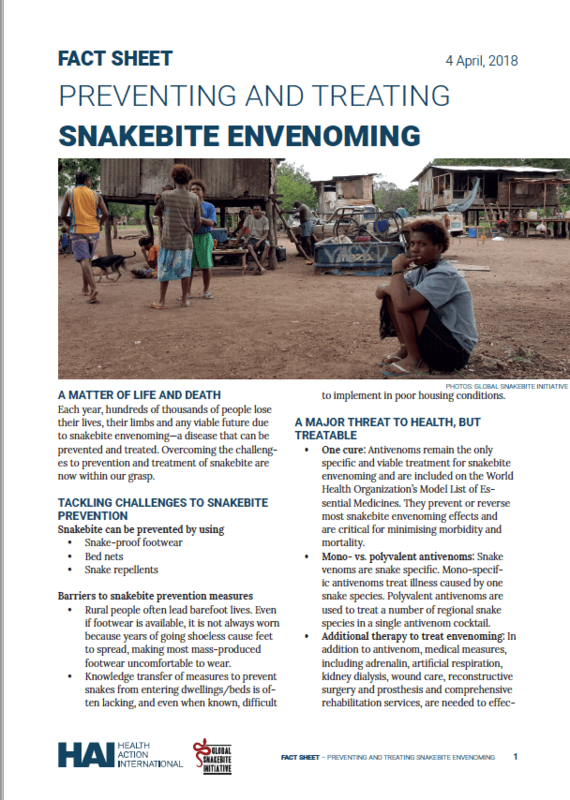 Almost the entire tropical world is endemic of snakebite, but has limited or no monitoring mechanism in place to record and measure the actual scale of the problem. 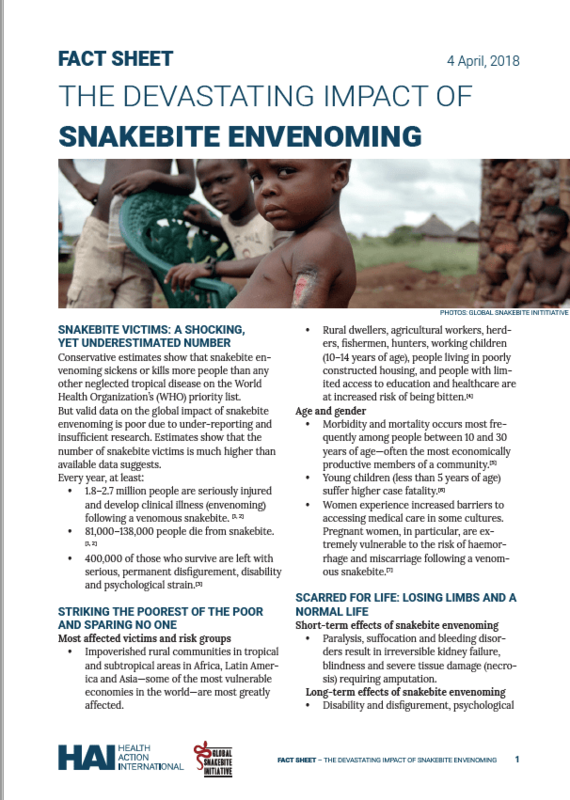 1.8–2.7 million people are seriously injured and develop clinical illness (envenoming) following a venomous snakebite. 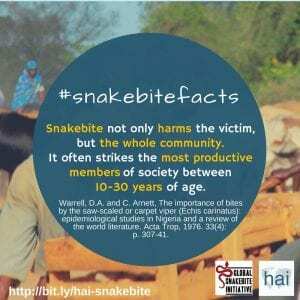 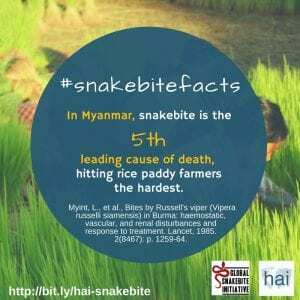 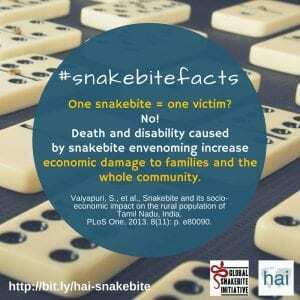 81,000–138,000 people die from snakebite. 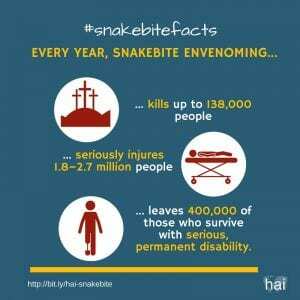 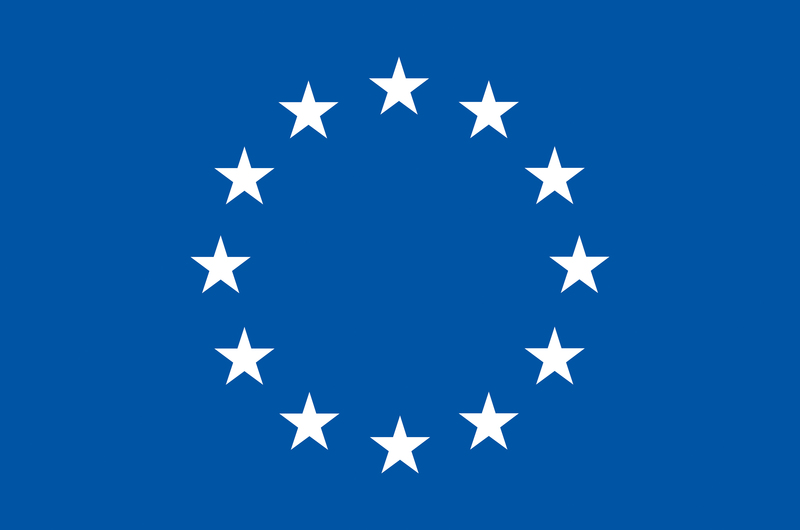 400,000 people are permanently disabled and often left with psychological strain. 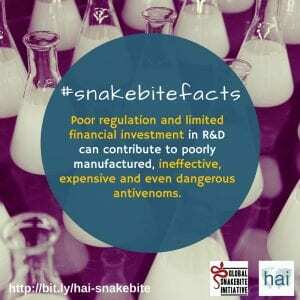 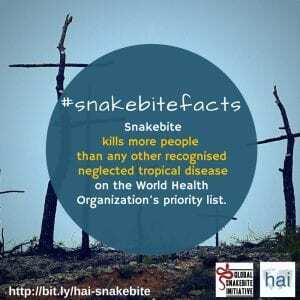 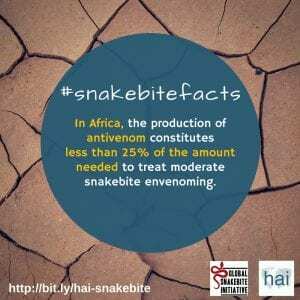 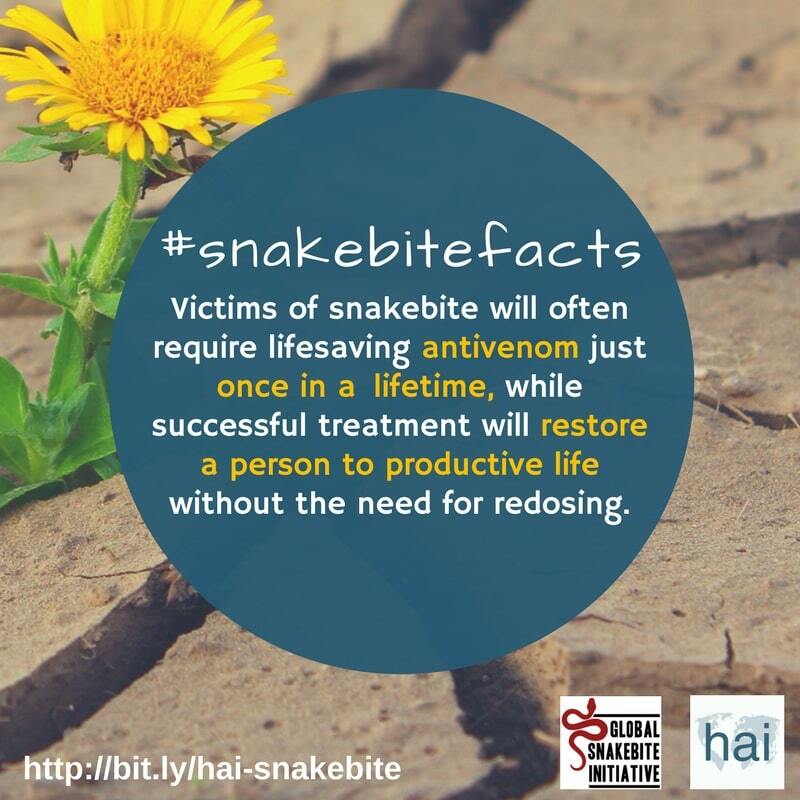 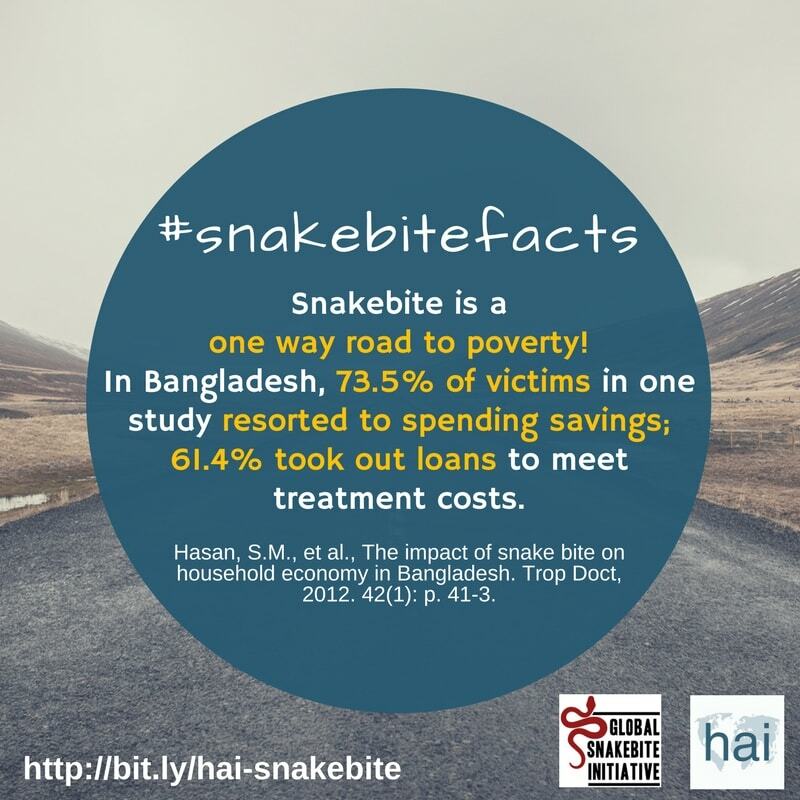 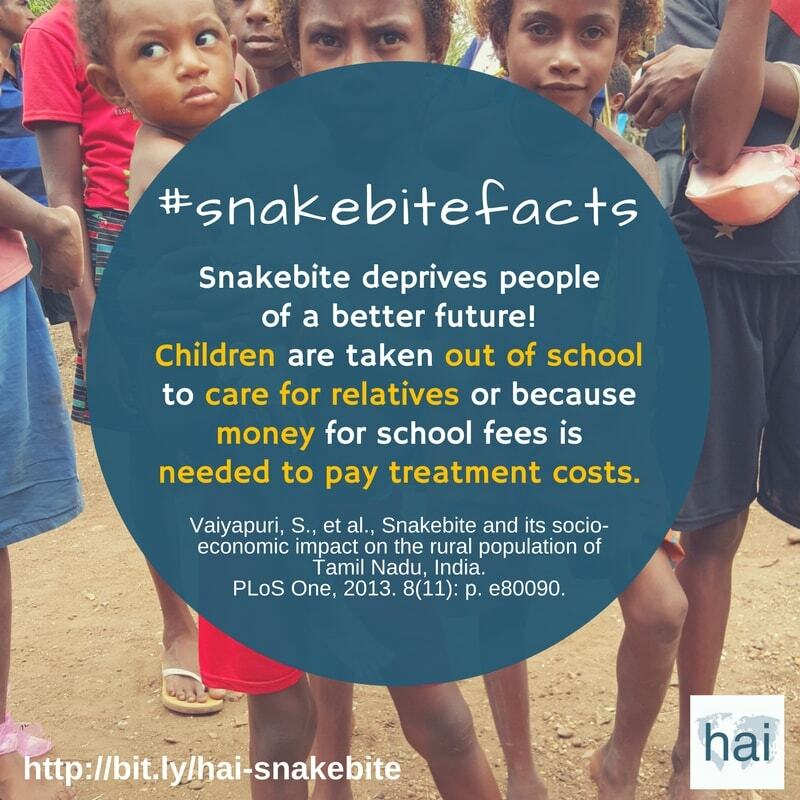 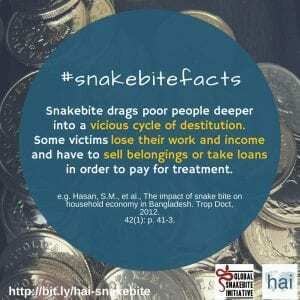 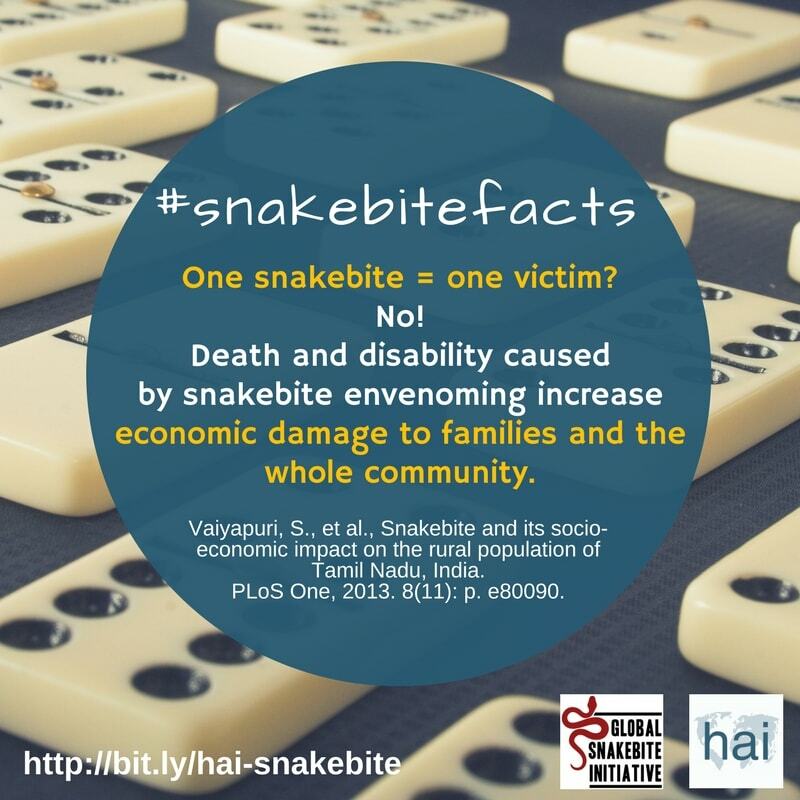 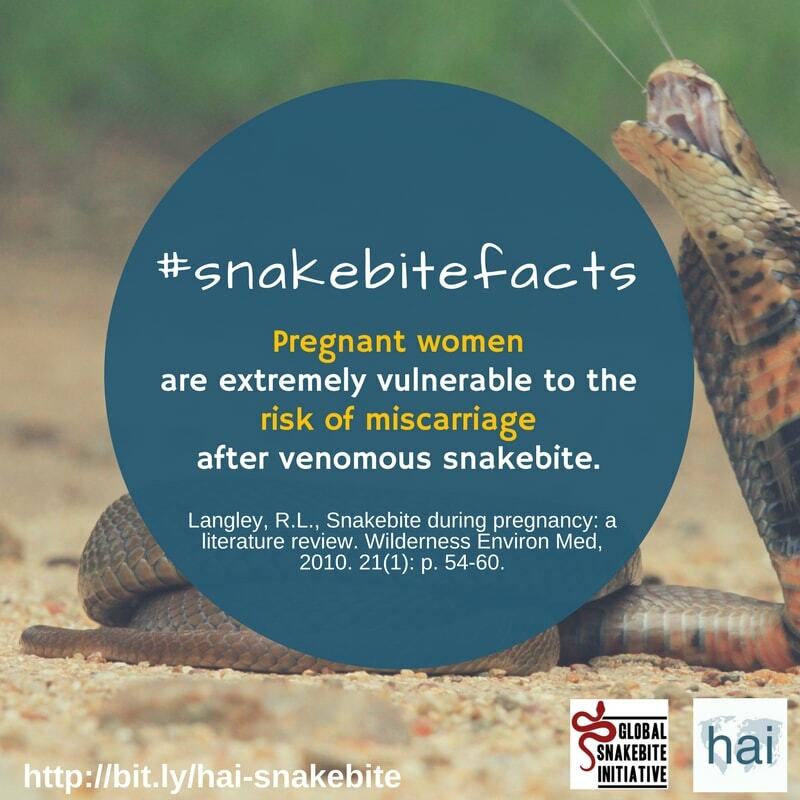 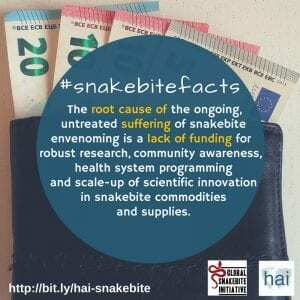 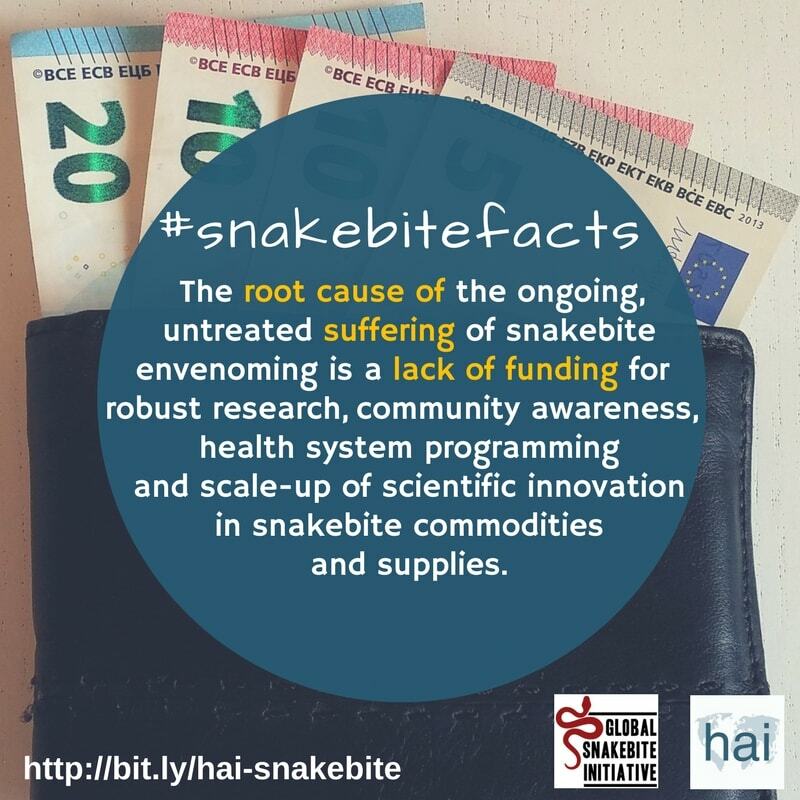 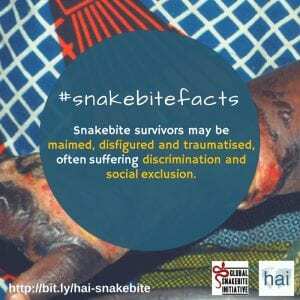 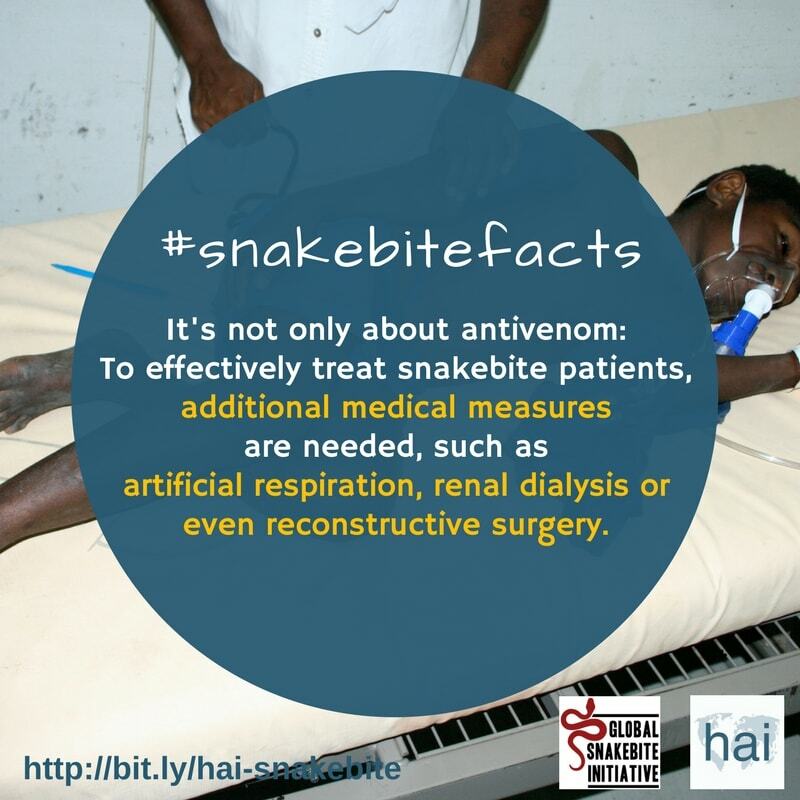 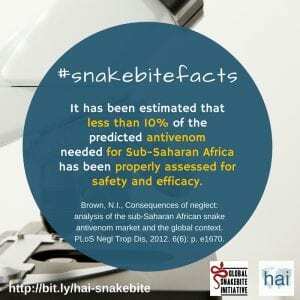 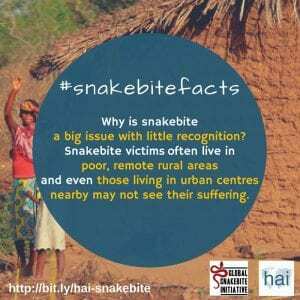 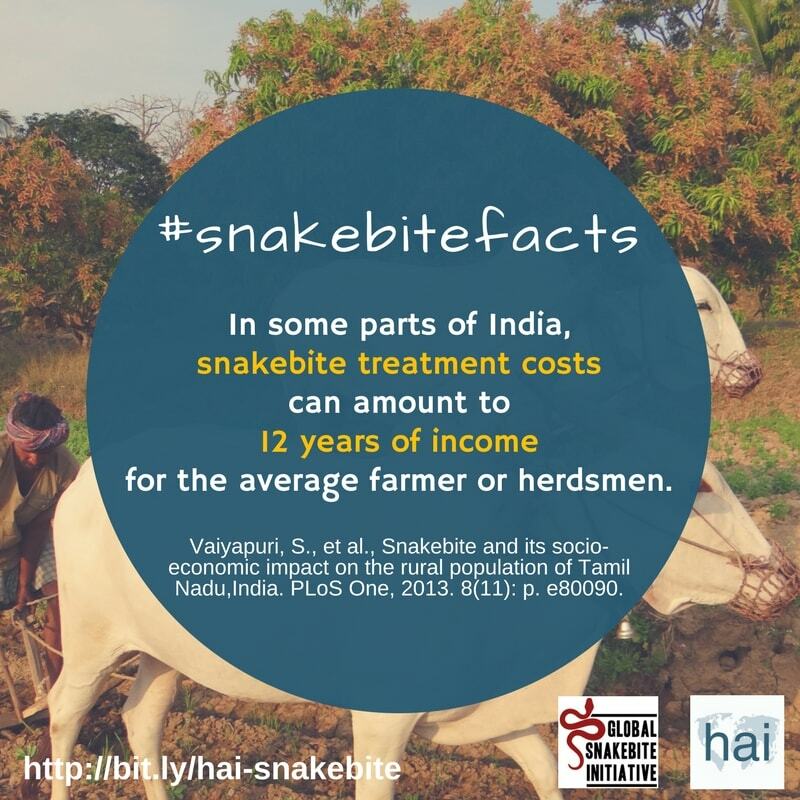 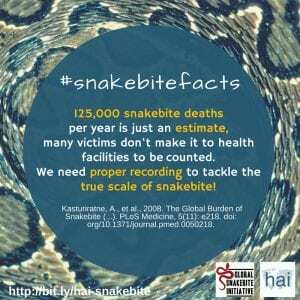 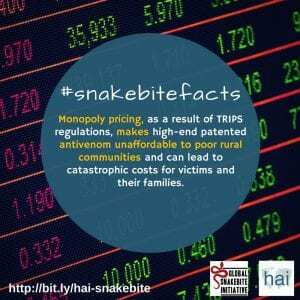 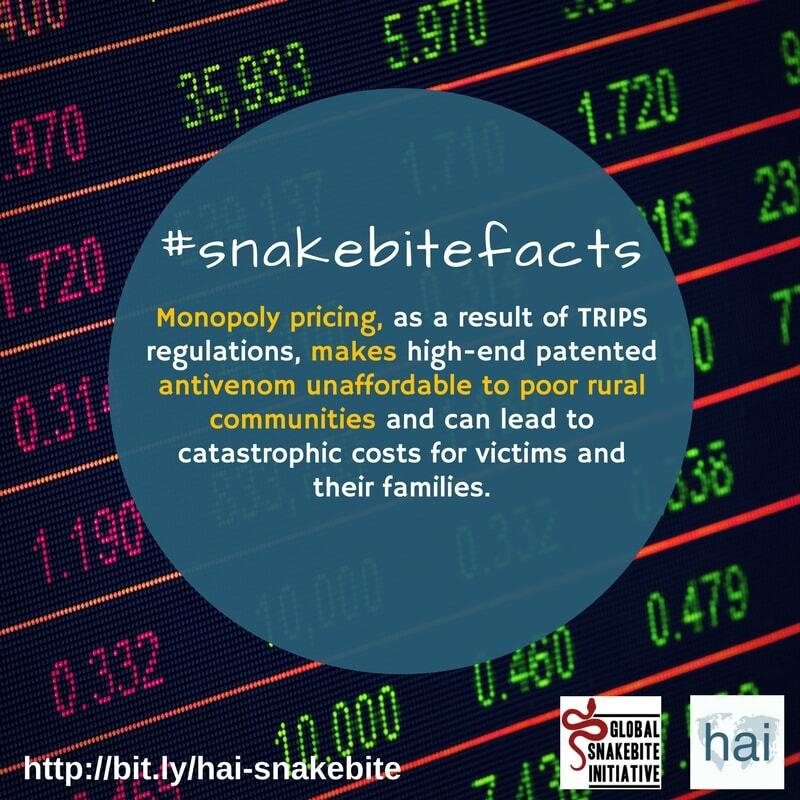 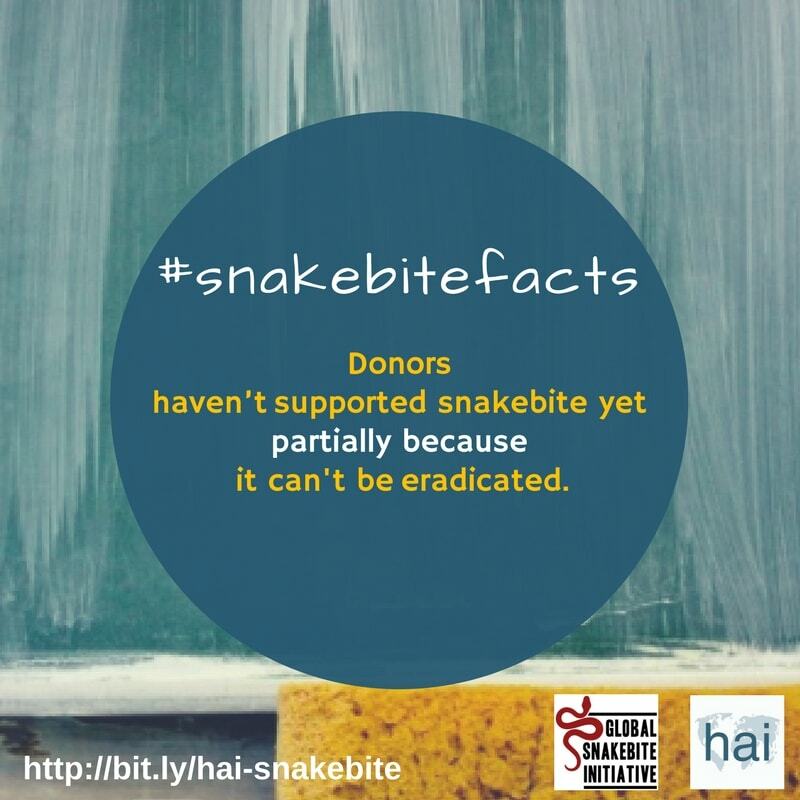 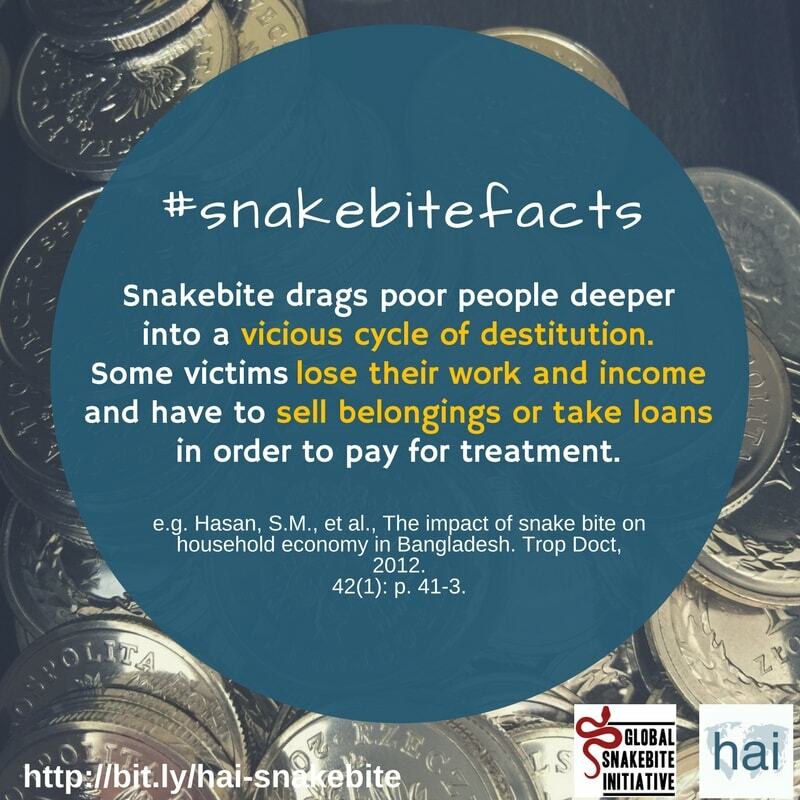 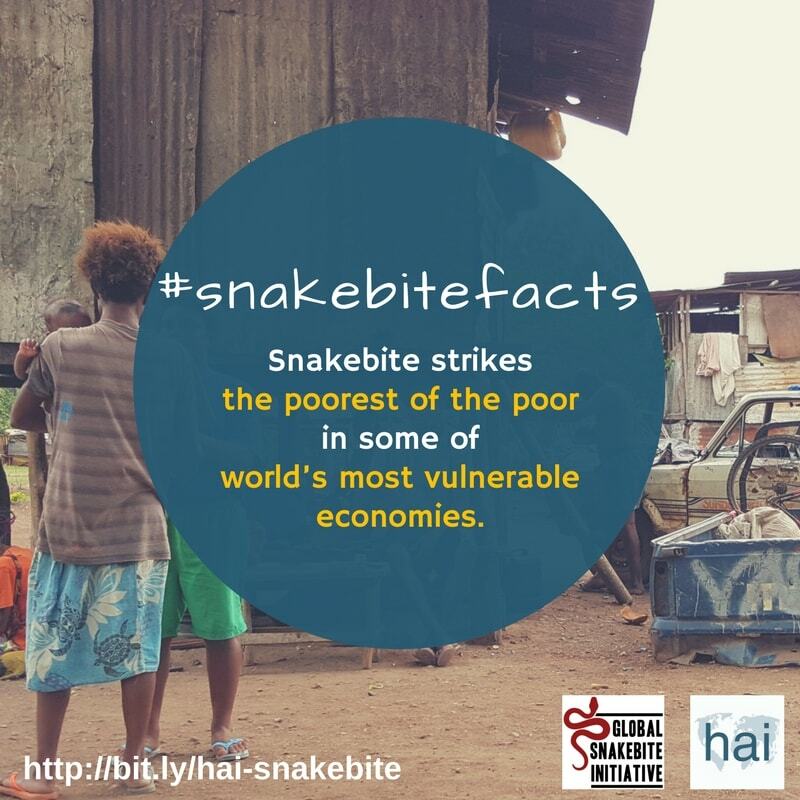 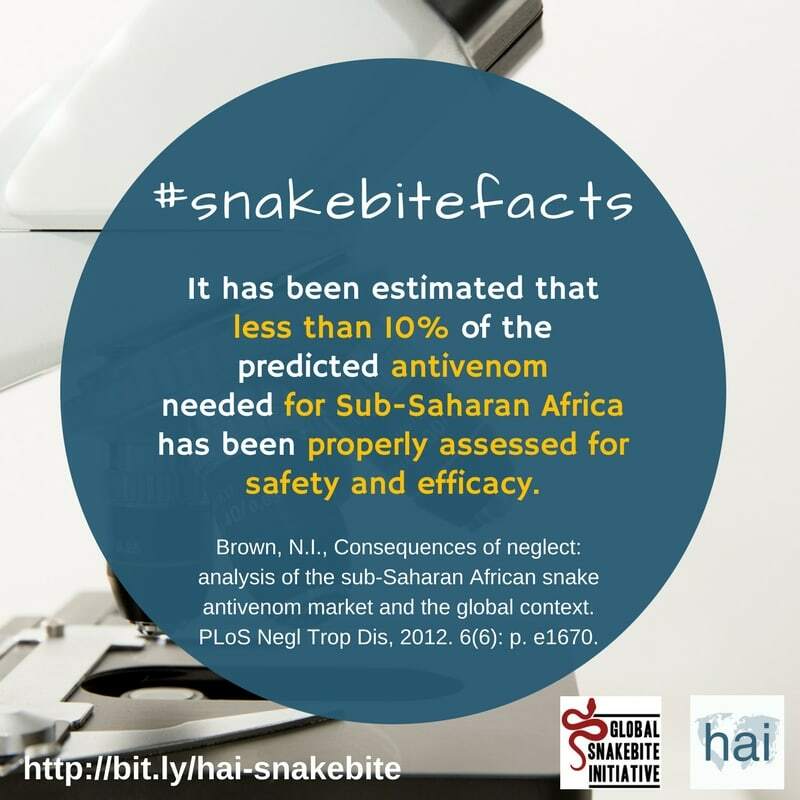 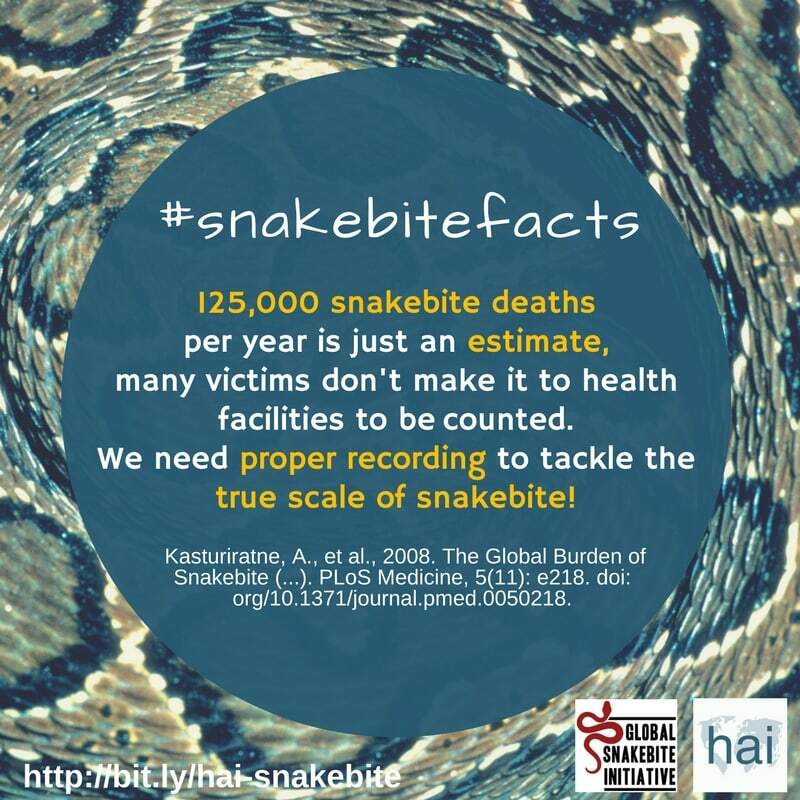 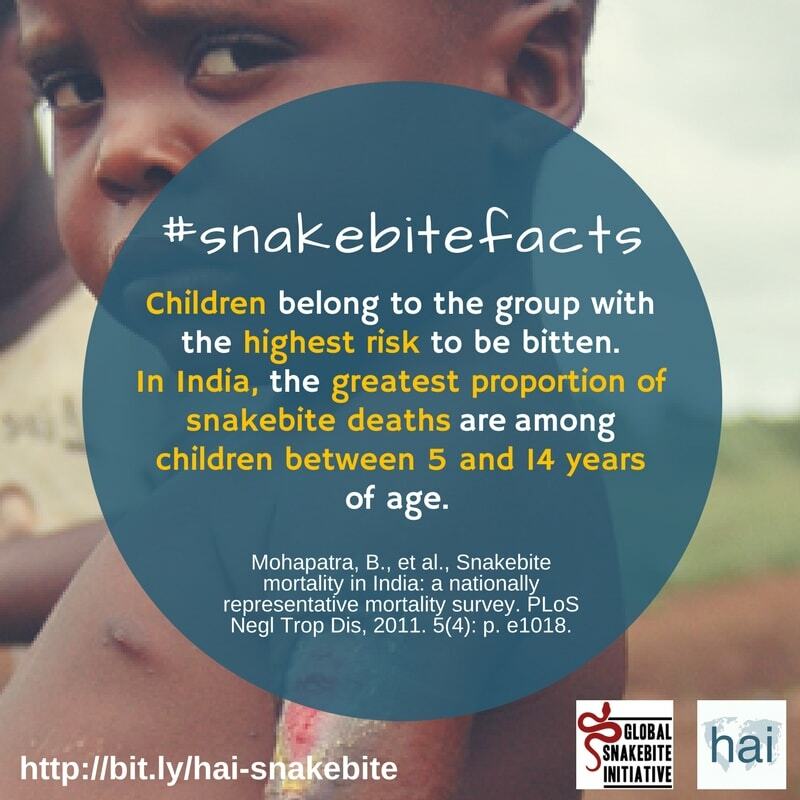 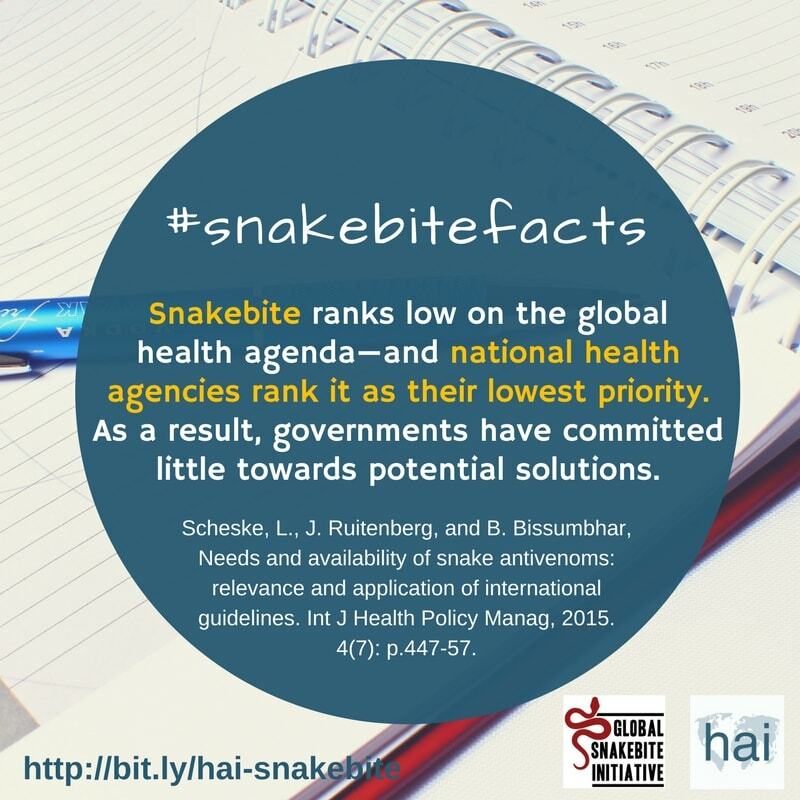 One of the objectives of the HAI Snakebite Programme is to improve the data by gathering evidence from health facilities on snakebite incidence rates, as well as the price, availability and affordability of antivenom in Kenya, Uganda and Zambia. 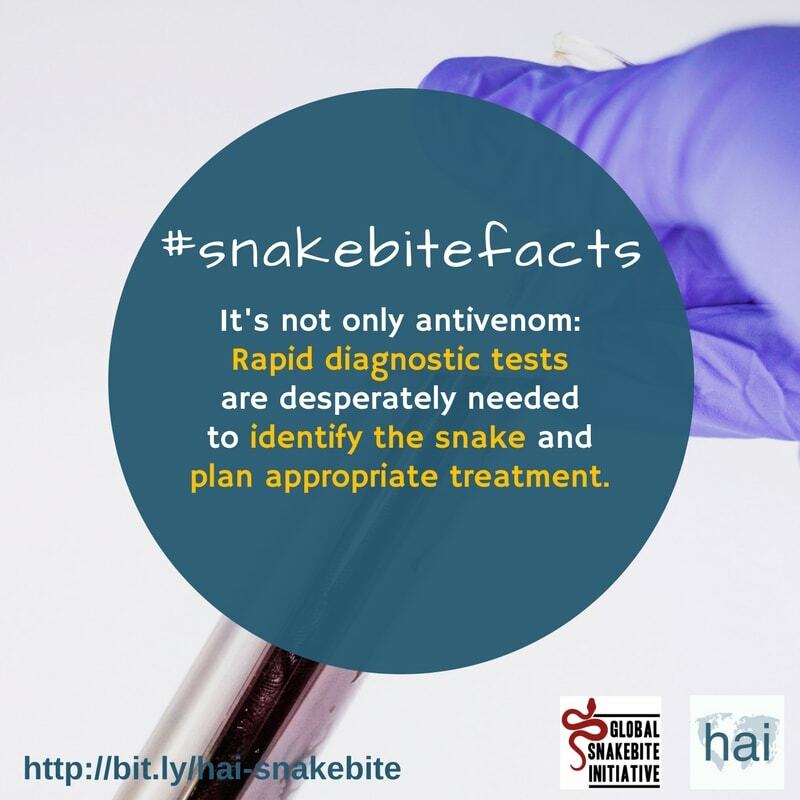 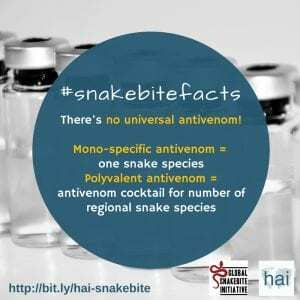 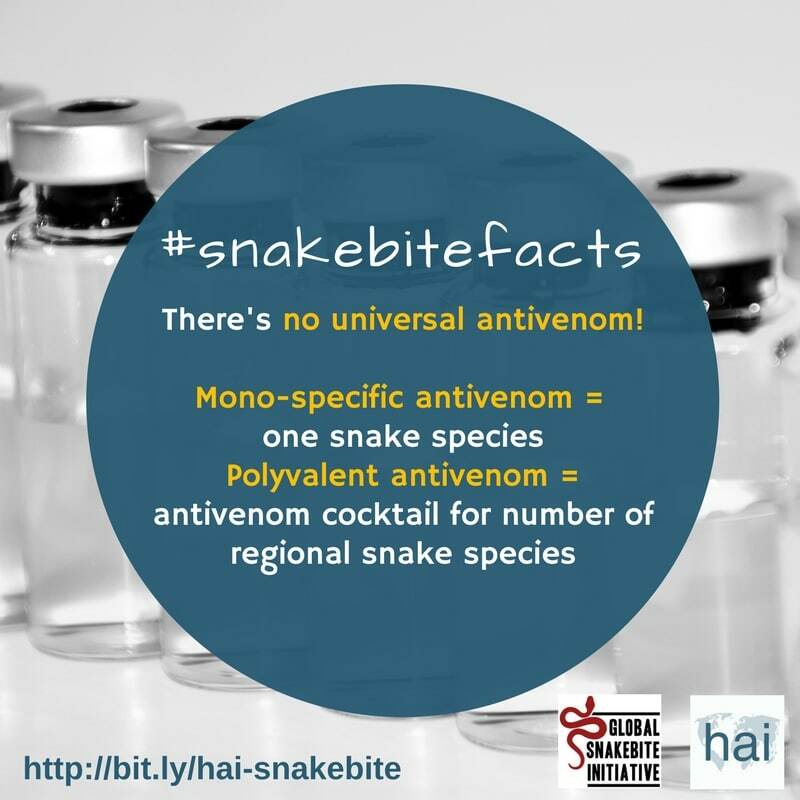 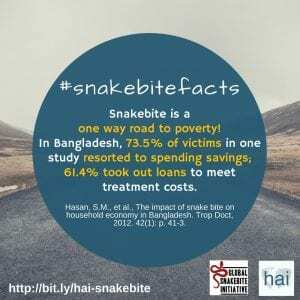 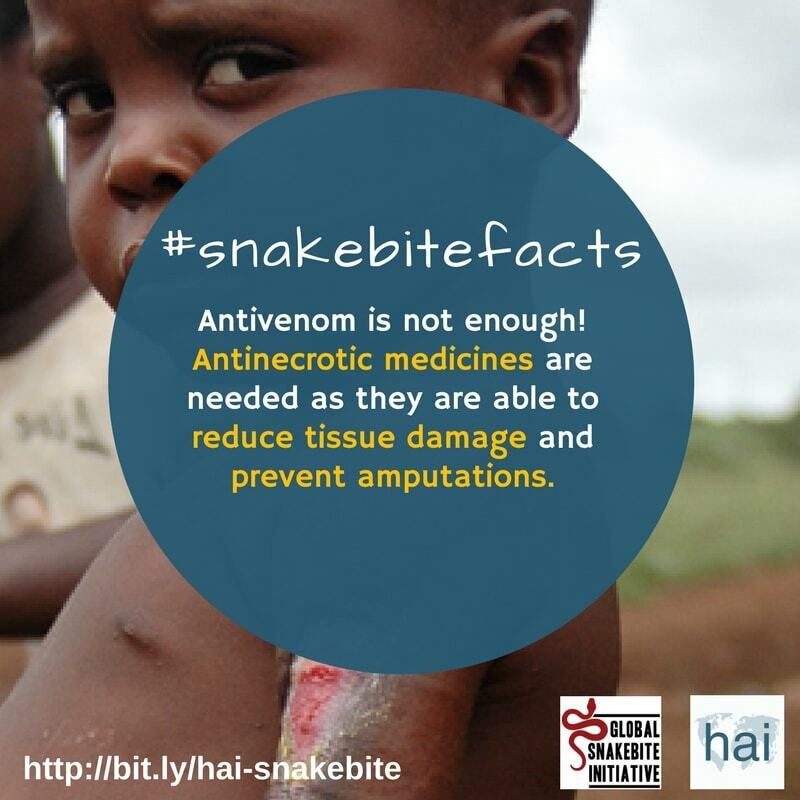 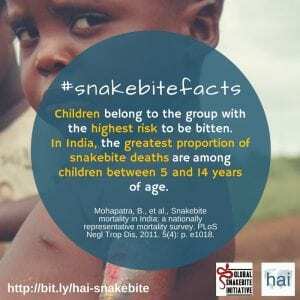 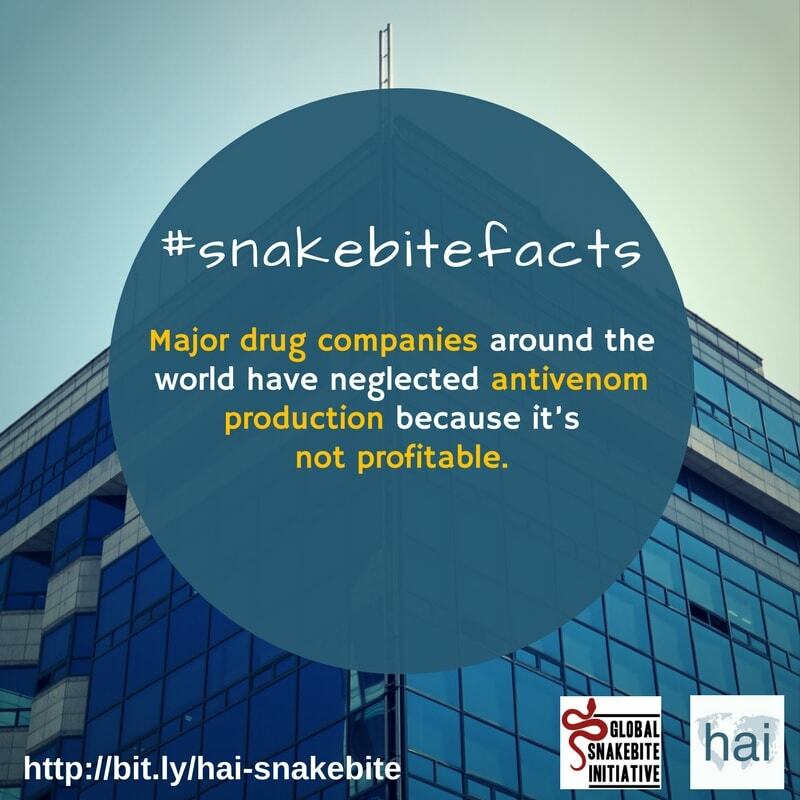 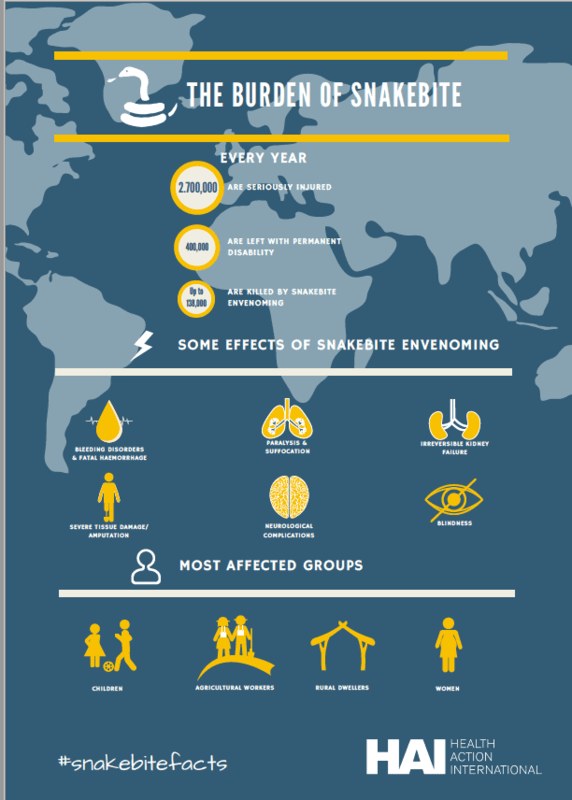 The findings will inform snakebite advocacy efforts at the local, national, regional and global levels, aiming for improved snakebite prevention measures and increased access to safe, effective, affordable and quality-assured antivenom and other clinical treatment.